PESHAWAR: Despite issuing repeated warnings, 1,391 people who engorged themselves in meat woke up in hospitals of the city with complaints of gastroenteritis. Eidul Azha was celebrated across the country with thousands sacrificing animals and distributing meat amongst the needy. Many, however, spent their time with friends and family. Some among those who celebrated, many barbequed mutton and beef and some fell ill and had to be rushed to different hospitals across the province. According to tertiary care hospitals in the provincial capital, they tended to hundreds of patients during the Eid holidays. A majority of the patients brought to the accident and emergency departments of the city’s hospital, though, sought treatment against gastroenteritis. Hospitals and medical staff, however, were prepared since this is not the first time that patients with gastro complaints streamed into hospitals during the annual festival. 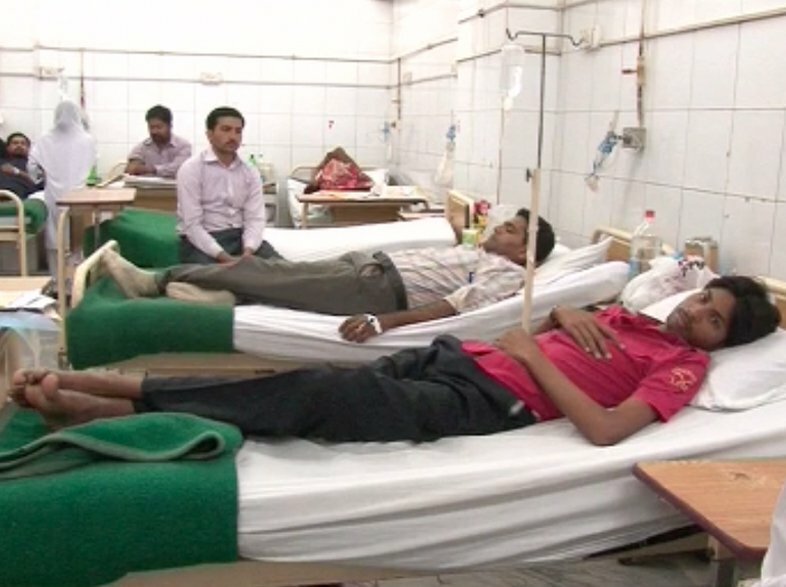 According to the Lady Reading Hospital (LRH), around 13,000 patients were reported by the accident and emergency department with 800 who had been shifted to the facility following gastro complaints. The Khyber Teaching Hospital (KTH) administration, which had already cautioned against the heavy consumption of meat during Eid, ensured the presence of doctors, nurses and paramedic staff during the Eid holidays with a special duty rota created. Doctors, nursing, paramedics, IT staff, security and all principal staff officers were on duty while medicines’ were also available at the hospital pharmacy. KTH’s media cell however shared the accident and emergency department registered a total of 6,766 patients at the facility with 455 suffering from gastroenteritis. They stated that 3,955 different investigations were carried out apart from 168 electrocardiograms (ECG), Echo and endotracheal tube (ETT) procedures. Besides gastro, the KTH also admitted around 373 patients suffering from different diseases and issued 197 bags of blood. As many as 105 dialyses were also carried out along with 384 ultrasounds,180 X-Rays 21 computed tomography (CT) Scans at the Radiology Department. The Hayatabad Medical Complex (HMC) said that some 1,222 people were registered at the facility’s accident and emergency department from August 21 to 23 August with a total 312 admissions including 136 for treatment against gastro.